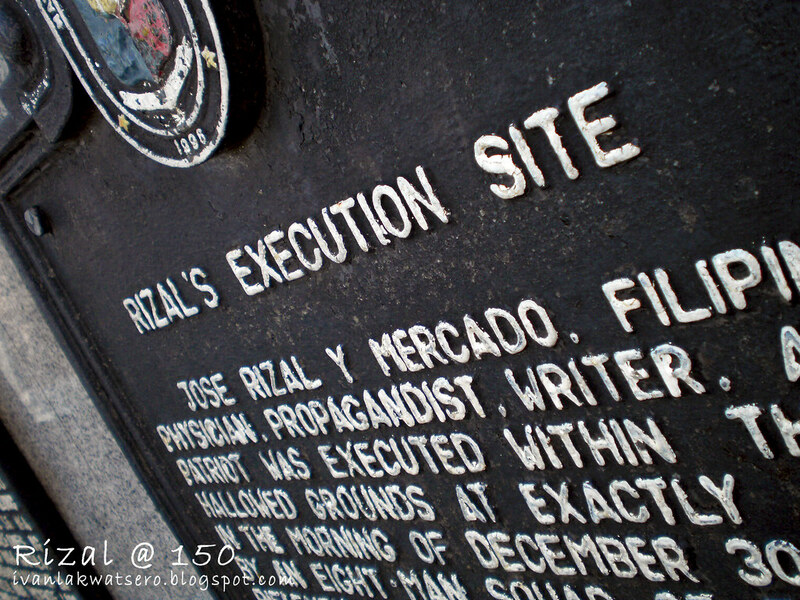 I went back on that very site where the execution actually happened. 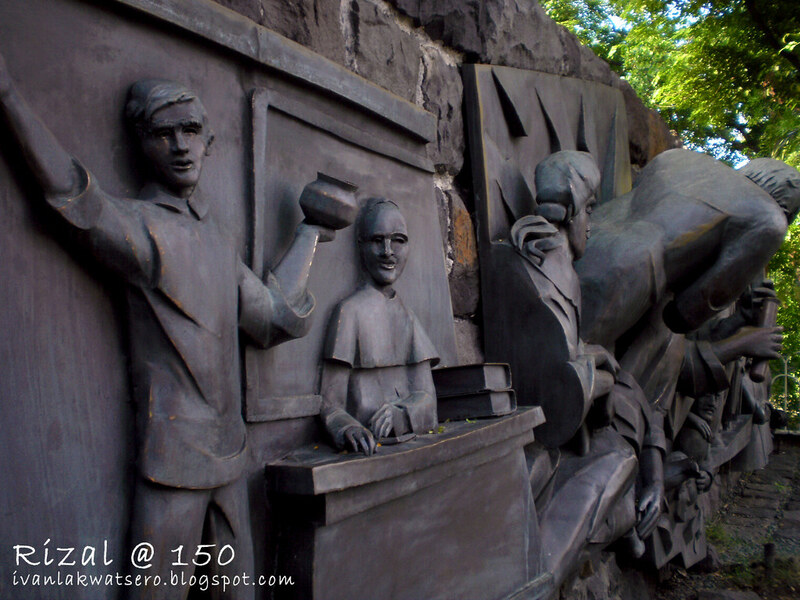 At the entrance, there are murals that depict the life of Dr. Jose Rizal. 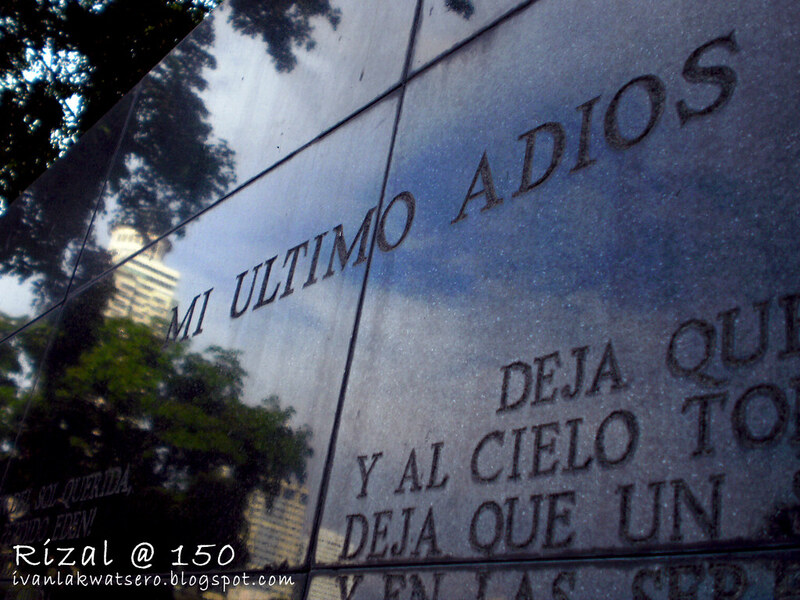 Another wall have an engraved copy of his Mi Ultimo Adios, in Spanish, English, and Filipino languages. 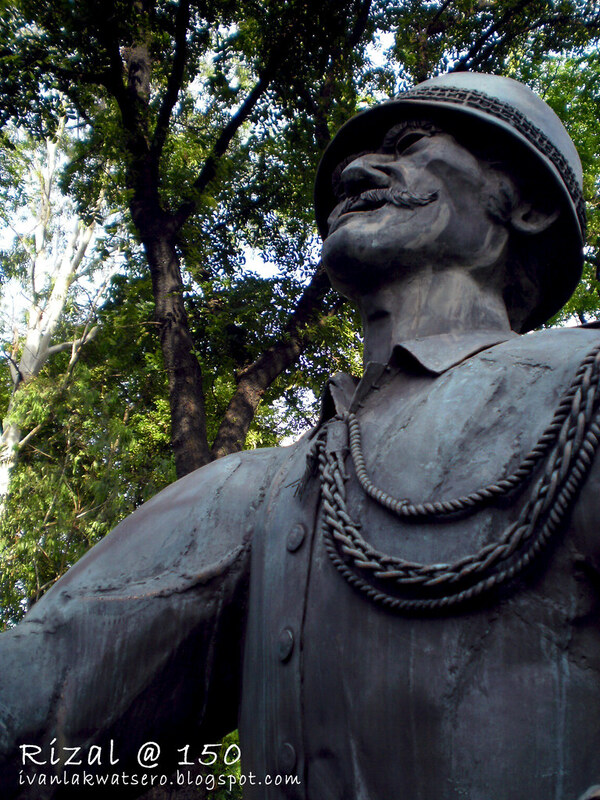 but when this man shouted Fuego! 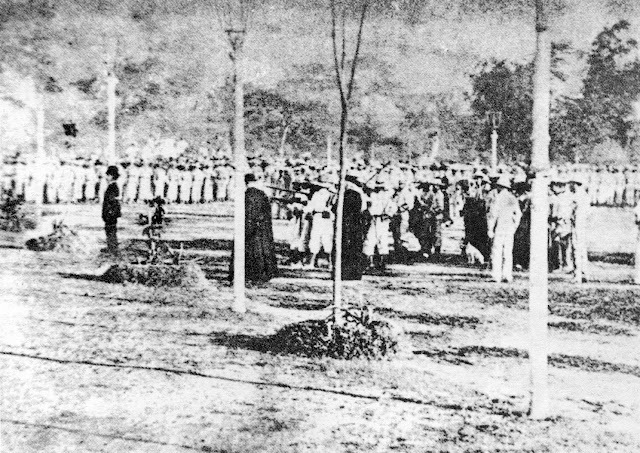 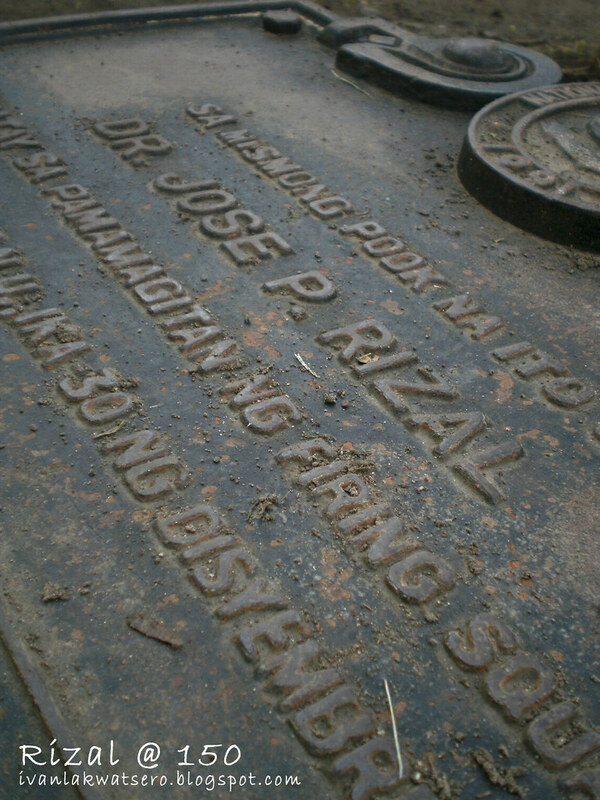 There's a marker at the very spot Rizal was shot by 7:03 am of December 30, 1896. 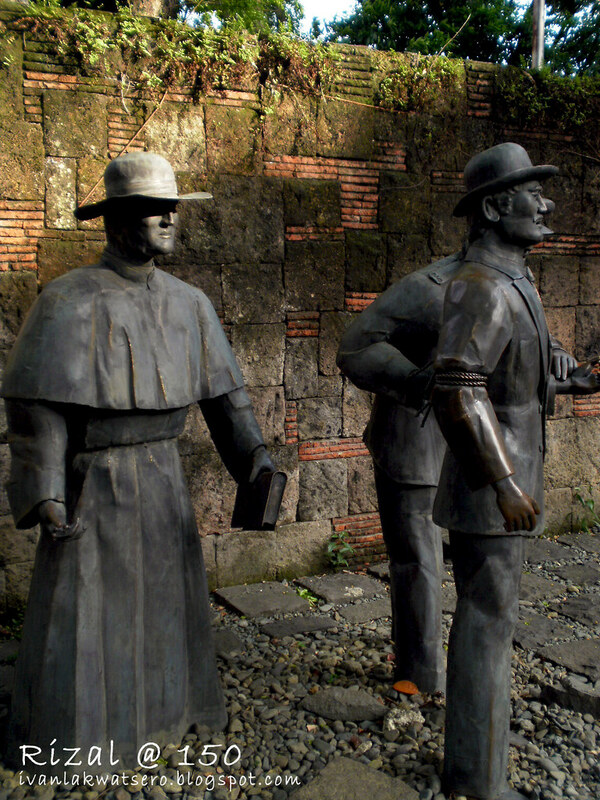 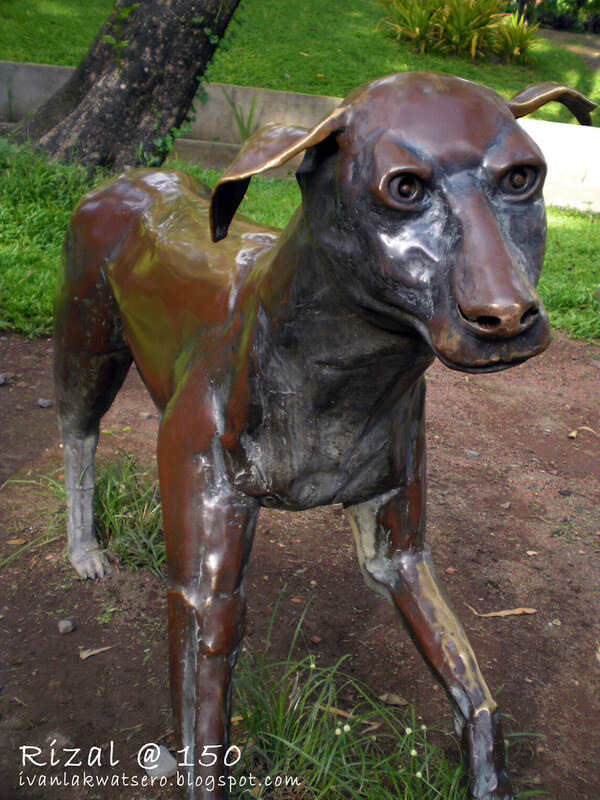 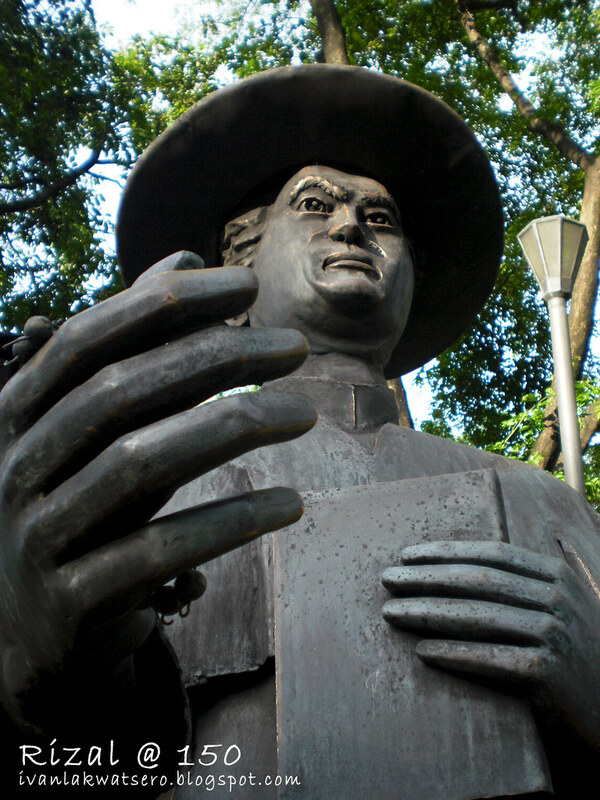 Also found at the site are bronze statues of the last hours of Rizal at his prison cell at Fort Santiago. 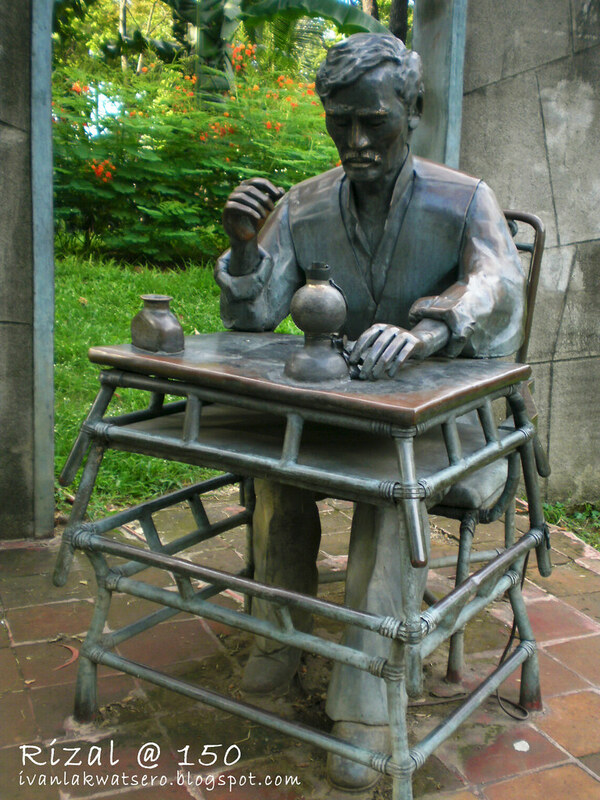 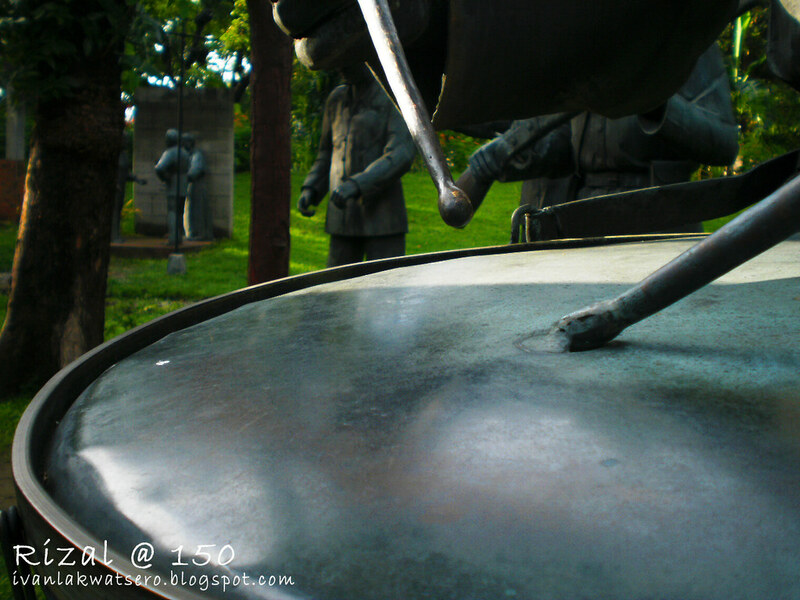 Rizal placed his "Mi Ultimo Adios" inside the lamp. 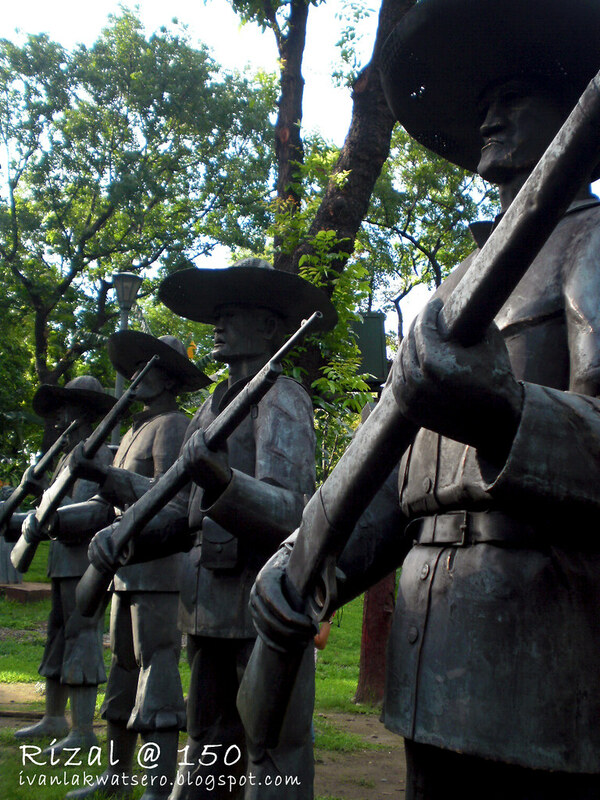 This Execution Site or the Light and Sounds Museum (located at Rizal Park, near the Rizal Monument) is open to public daily except Mondays and Tuesdays from 8:00 am to 5:00 pm. 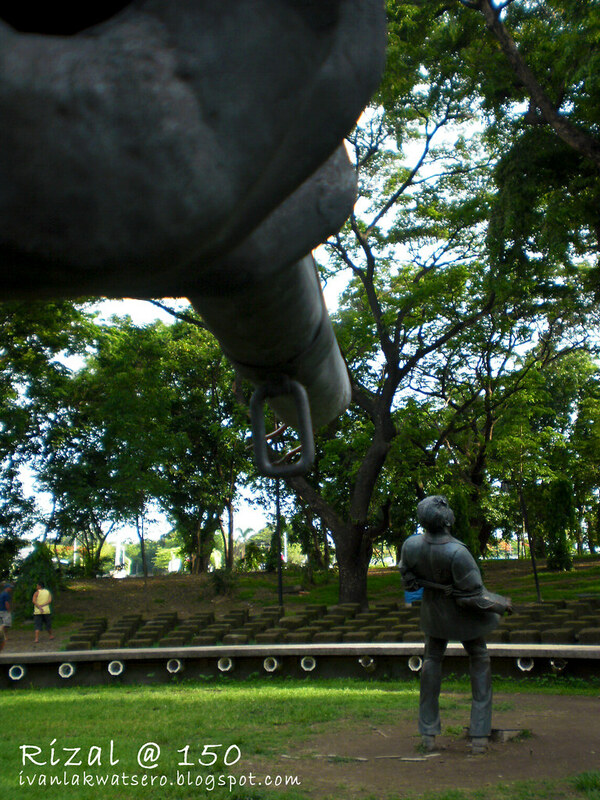 The regular entrance is only P10.00, and P50.00 during night shows. 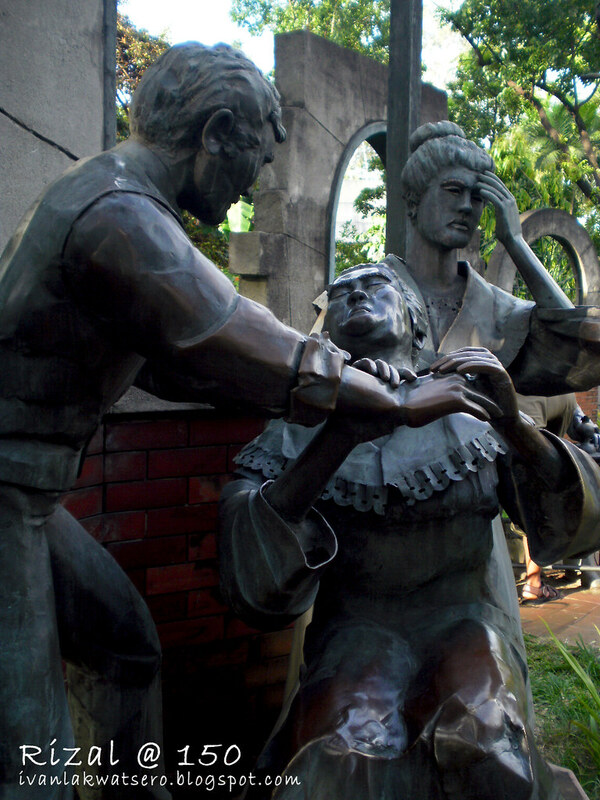 ang cool naman nito ... maganda din sa may rizal shrine sa dapitan ... happy new year!